Last June I did a tour of the Gettysburg battlefield, marveling that such fratricidal slaughter had taken place on those now-tranquil Pennsylvanian paddocks. “Could a civil war ever have occurred in Australia?” I mused. “Unthinkable!" “The Communist Party in Australia was strong, having built up tremendously during the war. A great number of men and women throughout Australia who had held positions in the armed forces and had the training, experience and understanding of what subversive elements meant, were very concerned that the Communist Party was seeking to undermine the elected government. This passage is elliptical, as if Charlie couldn’t decide how much to disclose or to conceal. In fact, he was one member of a secret force called The Association, put at 100,000 to even 130,000 men. The WA troop was led by Brigadier Eric McKenzie, concurrently WA’s Chief Scout (Motto: Be Prepared). Curiouser and curiouser! Was there not just one secret army tolerated by Chifley, but another formally established by Menzies? Secret armies are, well, secret, so confusion is understandable. As background to all this, Communist general secretary Lance Sharkey in March, 1949, had affirmed his support for any Soviet invaders of Australia; the Soviets exploded their first A-bomb in August, 1949; North Korea invaded South Korea in June, 1950; and in March, 1951 Menzies was warning the electorate that Australia had less than three years to prepare for World War III. The point of the secrecy about the “armies” was to conceal from the Communists the opposing strength in planning, manpower, money, armaments including machine-guns, and leadership. Some indecent exposure occurred when William Morrow (Lab, Tas) rose in the Senate in June, 1950, to denounce a subversive and fascist secret group called “The Association”. He said it had bought a large number of .303 rifles, and he correctly named Brigadier Frederick Hinton as a leader. Hinton adroitly denied involvement in "fascist" activities. Even now, be careful what you say. A newspaper in 1989 paid up for defamation over an article on The Association. This brave article tries (Part 1) to elucidate “The Association”, and then (Part 2) to look at Operation Alien and other plans to defeat red “fifth-columnists”. Far from being unusual, secret right-wing armies have been part of the Australian landscape since 1910. The closest we came to a pre-war civil war was in May, 1932, when the Old Guard of anti-Bolshevists was within 24 hours of ordering its 30,000 members onto the streets. This right-wing insurrection was headed off when Governor Sir Philip Game dismissed NSW Labor Premier Jack Lang and his ministers. (The New Guard was a 1931 breakaway from the long-standing Old Guard. In contrast, the New Guard gave little care to secrecy and hence is better known, especially after Captain de Groot’s swording of the Harbour Bridge ribbon in 1932). Post-war, General (later Field Marshal) Blamey was titular head of the revived right-wing army, The Association. When he fell terminally ill in 1950 Lt-General Sir Leslie Morshead, hero of Tobruk and second-Alamein, took charge of it. According to historian Associate Professor Andrew Moore (University of Western Sydney), the Chifley government’s Commonwealth Investigation Service (CIS), viewed The Association as a potential threat to the Labor government. The CIS, according to another Blamey biographer David Horner, said The Association had up to 73,000 men in Victoria, 55,000 in NSW and 1,000 in SA. Its chief of staff was Major-General Colin Simpson. Other leaders included Brigadier Hinton (NSW); Colonel Charles Withy (Qld); and Lt-Col Alexander Pope (SA) All were retired officers. Blamey got the Queensland wing going while ostensibly on a fishing trip there in 1948. It may even have had a Ladies Auxiliary. A somewhat over-excited CIS official reported that Blamey believed there were 200 Communist military officers in Australia backed by trained saboteurs. There were also, supposedly, two divisions of Sukarno’s fully-equipped Indonesians ready to invade on 24-hours notice in support of an uprising. Hetherington lamented that his account is largely hearsay because the movement took care to not write anything down. Even its emergency battle orders were verbal and memorized. Hetherington says “The Association”, also known as “The White Army”, had peak strength at 100,000 war veterans, including blue-collar and Labor men. They were prepared to hold the line against any coup d’etat by Communist irregulars, pending counter-attack by the slower-moving constitutional forces. Serving officers were excluded, but army intelligence was well aware of what was going on. Administration devolved to State and then area and sub-area commands or secret cells, such that meetings were generally kept under 20 men. Even then, they parked their cars in scattered places and walked to their venue. Senior officers did not know their opposite numbers in other States, although they had the “keys” to communication channels in any emergency. (This may explain Charlie Court’s vagueness in his account). Blamey’s rationale was that a red uprising would come in the wake of a general strike, coupled with a Red threat to vital community services. The “White Army” would be sworn-in at short notice as special constables and then counter-attack. Prime targets for both sides would be traffic junctions, water channels, bridges, power pylons, fuel stores, phone and telegraph stations, arms stores including gun retailers, and newspaper offices. “Well-trained combat teams would use all necessary force. Many of the members had rifles and shotguns, and knew they could get more firearms, including machine-guns if necessary,” Hetherington wrote. Others would make do with pick-handles. Each man could respond to the command within minutes, knowing exactly what to do and where to go. Hetherington’s view was that the “army” originated from a conversation in about 1947 between Blamey and Melbourne’s Lord Mayor Sir Raymond Connelly about the Communist threat. 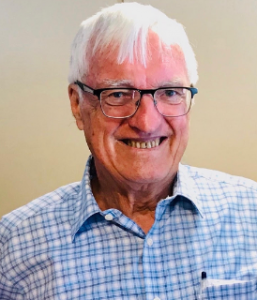 Blamey said he was hamstrung by lack of funds; Connelly then did a whip-round among wealthy businessmen and community leaders to produce the funding. (Dr Andrew Moore of University of Western Sydney puts the funding at 100,000 pounds, an astounding amount in 1949). Blamey’s job was to be top planner and also to satisfy members that their army was not a rightist subversive plot to seize power, Hetherington said. According to historian Moore, the Communist-backed coal strike in June, 1949, brought The Association to the brink of mobilization. Brigadier Hinton was initially cool-headed, but within days was acting as though a red coup was imminent. Instructions went out to engineer battalions to safeguard infrastructure such as water and sewerage, and create barricades, trenches and barbed-wire barriers. Explosives, gelignite, and detonators were to be furnished. In the event of casualties, named replacement leaders were to be installed. Hinton then visited the NSW Police Commissioner, Scott ‘Nugget’ MacKay, and NSW special branch chief Len Jones to inform them that The Association would be mobilizing in two days. Jones told Hinton to calm down as there was no evidence from agents within the Communist cells that an insurrection was pending. Hinton on June 29 backtracked and told his paramilitaries to stay quiet and beware of provocations. The same day, Chifley legislated his draconian response “Operation Kangaroo” against the striking miners. On August 1 regular troops began work in NSW open cuts. On The Association’s origins, Moore’s view, based partly on a cache of Brigadier Hinton’s documents that he discovered in western NSW, is that The Association was largely a re-birth from 1947 of the 1930s “Old Guard” paramilitaries of the 1930s. The Old Guard, like The Association, was led by Generals Blamey and Simpson (Vic) and Hinton (NSW). Former members, and sometimes their sons, were re-mobilised as leaders. Moore also cites a CIS report claiming The Association was set up after Blamey had watched a group of 8,000 unionists moving off efficiently in 30 minutes. Blamey then wondered at the unionists’ efficiency were they were fully armed: they could defeat the regular forces, the CIS report said. Yet another CIS theory was that The Association was the antipodean spawn of a meeting of imperial defence chiefs in 1946, headed by Field Marshal Montgomery and calling for right-wing guerilla resisters in the event that the Soviets conquered Britain and Western Europe. While Brigadier Hinton in NSW professed that The Association would always obtain constitutional approval before acting, its country members were less fastidious. In Bairnsdale, Victoria, a member reported that because even the police force harbored Communists, an independent armed body was necessary to take control "in the best interests of the community". The CIS, with its primary loyalty to the Chifley government, tracked and infiltrated the movement. CIS people staked out the Association’s Melbourne headquarters in the not-so-aptly named Sunshine House in Bourke Street, and even prepared a floor plan of the offices used by the chief of staff, Major-General Simpson. In Sydney, the CIS headquarters were in the Mercantile Mutual Building at 117 Pitt Street and the rival headquarters were directly opposite at 84 Pitt Street. Because the 84 Pitt Street office was small, the White Army leaders would sometimes run their conferences in the board room of the Mercantile Mutual, to the delight of the CIS co-tenants. The CIS was soon reporting that The Association, whatever it professed, was a danger to the Chifley government. It appeared to be answerable to no-one but its own leaders, who thought Chifley and Doc Evatt were undercover Communists One CIS executive reported that The Association was “prepared for any sort of a ‘putsch’”.The Association responded with such mistrust of the CIS that one CIS infiltrator feared for his personal safety. (Conversely, The Association had infiltrated the CIS). The Association’s infrastructure allegedly included first aid posts to be run by the British Medical Association, and a trucking magnate’s fleet, used to take members for rifle and drill training 60km out of Sydney. The NSW police were thick with The Association. Commissioner MacKay wanted Association members as special constables in any emergency. He addressed a meeting of The Association in January, 1948, claiming he had dossiers on 45,000 Communists [total party membership at the time was only about 6000]. The Chief of the General Staff, Lt Gen Sturdee, said at the same meeting that he expected war with Russia in 18 months. Liberal politician Richard Casey (later Governor-General) was another bigwig lending The Association high-level support. Among The Association’s irregulars were schoolboys from Scotch College, Melbourne, who were enlisted in a "youth division" and one night assigned to guard the school cadets’ armory against Communist onslaught. Senior journalists, sympathetic to The Association, were prepared to assist through their reporting or non-reporting. The Association’s Intelligence chief was a former Asian Airlines employee J.M. Burgoyne, assisted by J.M. Prentice, the former Director of Military Intelligence, Eastern Command. Quality of the intelligence varied. For example, there was a chain of art deco coffee houses in Sydney called Repins Cafes, founded by a White Russian refugee Ivan Repin in the 1930s. An Association report claimed, implausibly, that the cafes were managed by imported trained men and the staff were all card-carrying Communists. Perhaps the cafes’ clientele of European-style roasted-coffee-lovers, such as Vienna-born journalist George Munster and Hungarian-born cartoonist George Molnar, aroused suspicion. The Sydney University economics faculty was another purported hotbed of revolutionaries, and the suspected top leader was the proprietor of the Coronet Chicken Grill. Moore writes that The Association was frustrated by the CPA’s failure to insurrect, and itself went in for some vigilante violence, although his only example is an elderly shearer who got bashed. His other examples are more of intimidation and vandalism. In Cowra, a Communist public meeting was under way about that hardy perennial “the coming depression”. An Association mob arrived but found the audience was only six. The Association lingered on after the Menzies government came to power, ready to assist Menzies with the internment of the thousands of Communists and fellow-travellers in camps. The detention process was even designated “Order No 1” by The Association. Writer Martin Boyd recalled that at the 1950 Melbourne Cup, a senior member of the Association had told him that in the event of any "trouble", the secret army was ready to "rope in every shade of pink", which Boyd feared could even include himself. The Association also re-channelled its energies into issues like civil defence mechanisms against nuclear strikes. Its official demise was in late 1952, when ASIO seemed to have the red threat under control. Some Association members joined ASIO. There is one indication that a Colonel Neil McArthur kept a Collins Street office going for the “White Army” until his death in 1961. Tony Thomas is a (sort of) retired journalist. At war’s end, with only 70 troops, Court took the surrender of 20,000 Japanese in Bougainville. Op cit Horner p577.Brigadier Hinton foresaw Stalin arranging a ‘super Pearl Harbour’ attack against the West using local Communist cadres. Locally, red-run unions could initiate “H-Hour” — paralysing strikes followed by overnight seizure of vital infrastructure as prelude to a putsch. When Petrov’s political seducer Michael Bialoguski visited the CIS premises on the sixth floor, “I found myself in a large empty-looking room. A counter opposite the door and a wooden bench near the entrance were the only pieces of furniture. Nobody was in the room. On the counter was a very much used sheet of blotting paper and an inkpot with a pen protruding from it…” The Petrov Story, p26-27. Op cit Fascism p111 School cadets also featured in September 1974, when the Defence Department confiscated 175 weapons from a school armoury to keep them from possible anti-Whitlam vigilantes. The Association included anti-Semitic elements, and in Queensland, there was even an anti-Catholic undertow.